I really love garlic and dill fermented green beans. 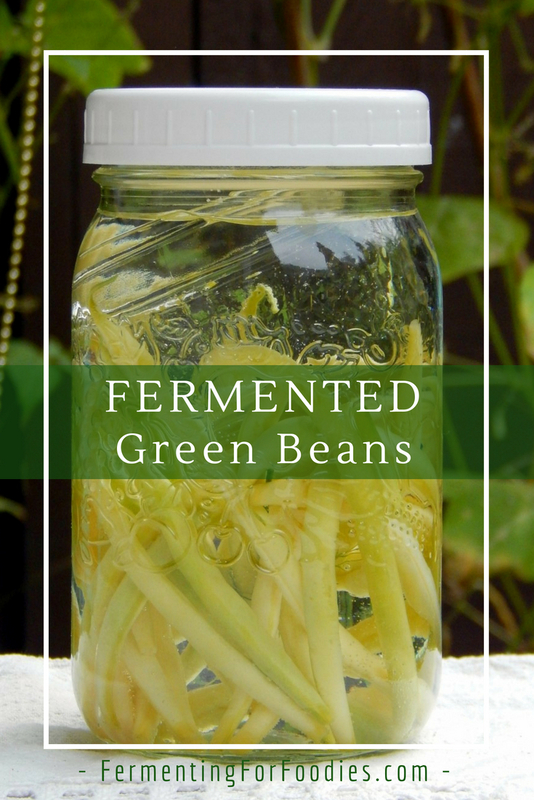 They are the ultimate green beans pickle. 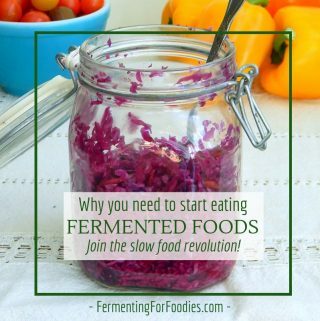 Salty, tangy and delicious, lactic fermented vegetables are easy to make and a great source of probiotics. 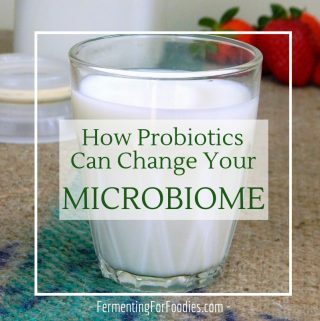 Make a probiotic Nicoise or cobb salad. Add them to a Buddha bowl. Use them in your favourite three-bean salad. Dissolve the salt in a ¼ cup of water in the bottom of a glass jar. Trim and wash the green beans. Peal the garlic clove. Pack the jar with the beans, garlic and dill. Add a culture (if you're using it) and top up with water. Make sure that the beans are not exposed to the air, and allow to ferment at room temperature for 2-3 days. After 3 days the beans will be fermented, but still crisp. 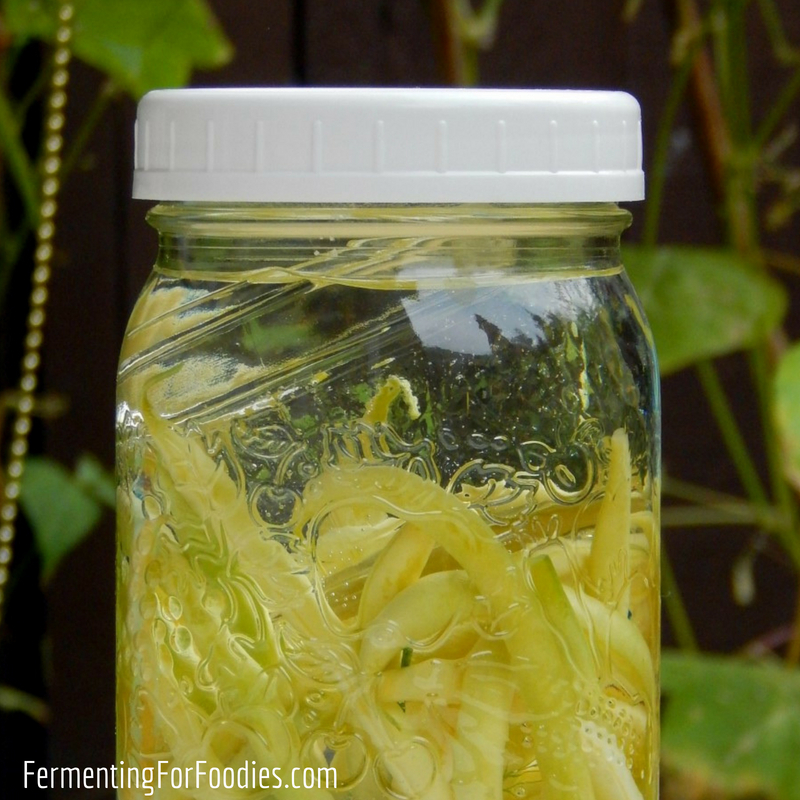 However, if you like soft beans, ferment for up to 6 days. , this time I used a wide-mouth mason jar with a smaller mason jar inside to keep the beans weighted down. An airlock is another great way to keep your beans from being exposed to oxygen. 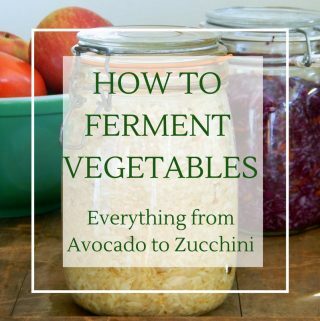 -You could use whey, sauerkraut juice or a purchased vegetable starter to kick start your ferment. 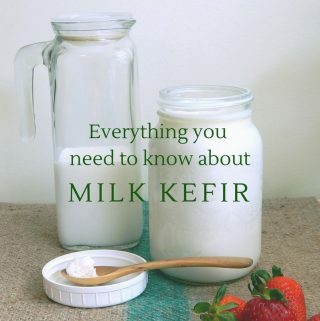 However, if you don’t want to use a starter, then increase the salt to 2 tbsp per quart jar to ensure a successful ferment.